Read more articles from our Health category. It has long been suspected that with all the microplastic in the ocean that it would start to enter our food chain as well, not just with the consumption of fish but also sea salt. Could we also be causing an issue with some food packaging? This week, results have been published from a small study conducted by The Medical University of Vienna and the Environment Agency of Austria. Eight healthy people were chosen from different countries around the globe including Finland, Italy, Japan, the Netherlands, Poland, Russia, the UK and Austria. The participants kept a diary of what they were eating. Six out of the eight consumed seafood. None were vegetarian. They all consumed food wrapped in plastic and drank from plastic bottles. 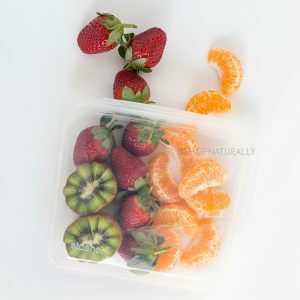 Test results showed an average of 20 microplastic pieces per 10g of stool tested, most commonly polypropylene (recycling code #5) and PET (the stuff that soft drink bottles and bottled water are made from). Seven other types of plastics were found. One plastic tested for was not found. I am still trying to search for what that was. Reading between the lines, I suspect the microplastic found in these subjects may not have come exclusively from the ocean, but also in the way food and drink is packaged. We simply do not know yet. We are not in the business of being alarmists here. It was a very small test, with only 8 people, but it's clear that everyone had some form of microplastic inside their stool. Do we know if it's passing through in to the bloodstream? The liver? Do we know what effect it has on our health? No, and we don't want to speculate. This is a newly emerging issue with very little research done yet. For now, I would simply like to give you some suggestions for reducing potential contact with microplastics in the food chain if you choose to be more cautious. 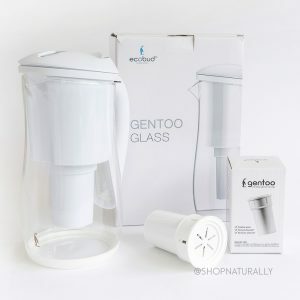 Earlier this month we wrote an article on whether it's possible to filter water without the use of plastic. 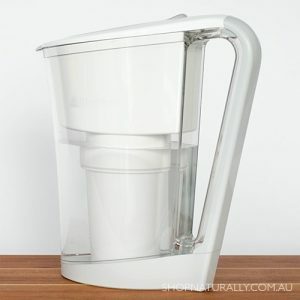 In the article we made some suggestions and our 'non-alarmist' conclusion was to filter your water with a jug (plastic or otherwise) and then decant it in to glass jugs or bottles so the water spends very little time in contact with the plastic. Extended time and extremes of temperature are the catalysts for plastic breaking down. 2-3 minutes in a filter for your drinking water is not a big problem. Leaving it in one for 2 weeks is a different scenario. 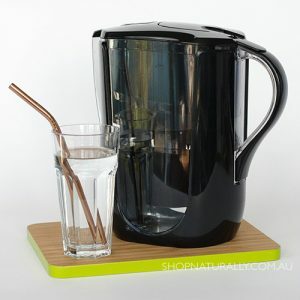 We don't see a big issue with using a water filter jug this way. Benchtop ceramic systems are not within everyone's budget and until 2019, our filters from Southern Cross Pottery are unavailable due to manufacturing delays. Choosing the right water bottle is actually pretty easy if you're shopping in the right place. If you're reading this, then you are! 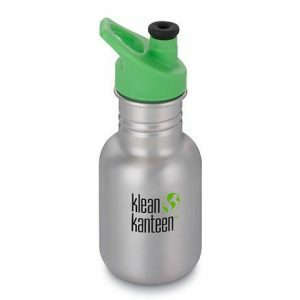 Finding a glass water bottle or a stainless steel water bottle is actually pretty easy. What isn't easy is finding one that doesn't have a plastic lid. For that, you need to step outside of the local shopping centre and back to specialists like us to find the bottle with the right lid. 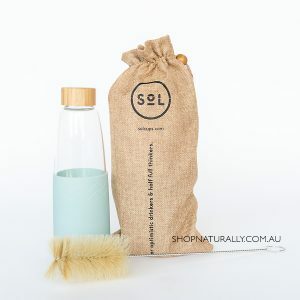 Depending on how you use your drink bottle, I only think that this one is really important if you're keeping your water bottle in the car or letting it get hot, as plastic degrades with time and extremes of temperature. 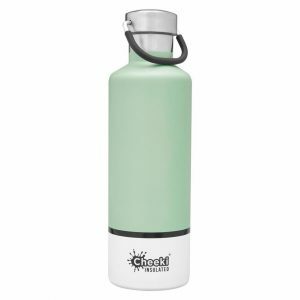 ONE - The Sol Water Bottle - it's a glass water bottle at 850ml capacity with stainless steel on the underside of the lid. The simple answer to this one is just one word - don't. Plastic breaks down in extremes of temperatures. Putting your plastic containers in the dishwasher is shortening their life and making them more susceptible to breaking down. There's well researched information in the book Healthy Home Healthy Family on this topic as well. For cleaning, simply use a dishwashing liquid from our natural cleaning products aisle and wash by hand. Got a stubborn smell? Soak in a solution of cheap white vinegar and water. It does wonders. A little bi-carb with the vinegar to bubble up in to a paste helps with really stubborn issues. If you have ever put a tomato based meal in a plastic container and frozen it and reheated it in the microwave, you will have seen the tide mark where the container is stained. I once, for an experiment, put a KFC gravy container in the microwave, literally for less than a minute, and the container started to melt and warp before my eyes. The simplest way to do this is with glass containers. If you choose the right ones, they're freezer safe. 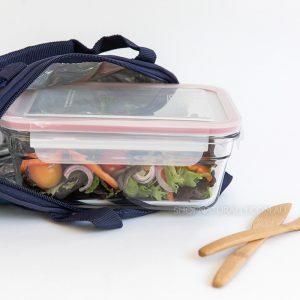 Many leakproof glass containers, like those we sell from Glasslock, have a bpa free plastic lid. If you're just going in to the freezer and they're staying upright, your food isn't going to touch the plastic. Kilner have just released a set with leakproof glass lids and the will be in store very soon (if they're not there already by the time you read this). You don't have to buy glass containers for everything, you can actually reuse glass jars in the freezer, with a few safety tips. Here's the main things to look out for. 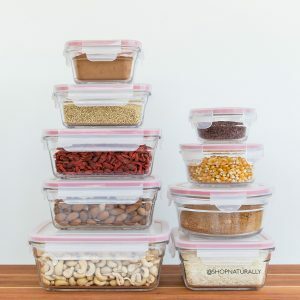 With our own Glasslock containers, when you remove them from the freezer, let them sit out for a minimum of 10-15 minutes before you open the lid as you may crack plastic hinges + obey all three things above. Be prepared to crack the odd glass jar if you're just reusing jam jars. It doesn't happen very often, but they're not designed for the freezer, so be careful. Silicone is also a great way to freeze food. As mentioned above, silicone is inert and the only warning we give out is not to cook with silicone and fatty foods. 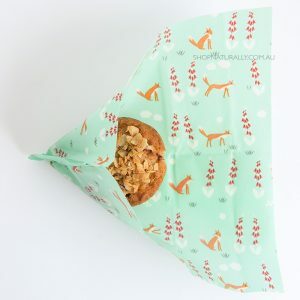 We have silicone pouches from Stasher Bags and flat sheets from Agreena Wraps. 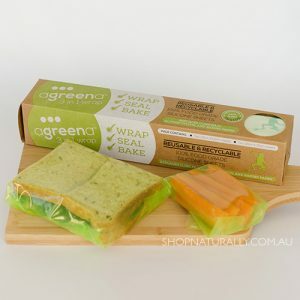 ONE - Beeswax Wraps - a completely plastic free way to wrap a sandwich and the wax makes the package waterproof as well. 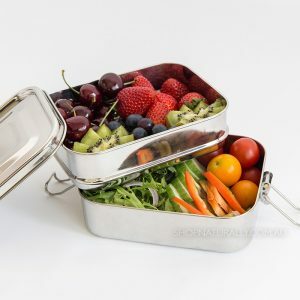 TWO - A Stainless Steel Lunch Box - whether it's a double stacker, a bento box or just a big single container, most of our stainless steel lunch boxes also have stainless steel lids. THREE - A Glass Lunch Box - the new range from Kilner also have glass lids. Not the ideal choice for kids, but perfect for adults. I have always personally been a little wary about the prevalence of reusable coffee cups made from plastic. Since plastic degrades with extremes of temperature, putting boiling water in to a plastic coffee cup, whether it's reusable, or even worse, the thin plastic lining on a single use one, has always made me question whether it is a good idea. We have made the decision here to phase out plastic coffee cups and just stick with stainless steel and glass. If you want a plastic Keep Cup, you can get them dirt cheap from Bunnings and loads of coffee places with a free coffee in them. We feel it's time to stick with the glass and stainless steel.